These days, a small USB stick costing only �10 can hold up to 16 GB of data. In hospitals, a camera the size of a pill can be swallowed to survey a patient�s intestines. Modern pacemakers, critical devices that control abnormal heart rhythms, are now less than a tenth the size of earlier ones. And in the oceans, tiny GPS transmitters track endangered turtles to help protect them. While these devices are incredibly small, they represent a big milestone in technological progress. At the heart of each of these life-enhancing innovations is a microchip � a tiny package of integrated circuitry that powers the performance of the device. In a world in which major breakthroughs measure only a few nanometres in size, the constant quest is to produce chips that are smaller, faster, more effective and less expensive. 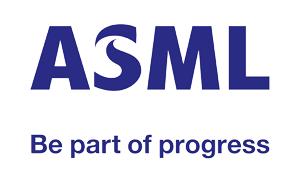 One of the major high-tech players leading the quest is ASML, a manufacturer of lithography systems for producing computer chips. ASML, located in Veldhoven in The Netherlands, supplies equipment to all the world's major chip manufacturers. These include Samsung, Intel and TSMC. There are dozens of steps along the path to producing a chip. ASML helps manufacturers take just one of these steps, but it's a very crucial step: lithography. Lithography involves exposing and chemically etching the wafers used to 'print' a chip's components. The more accurate the lithography process is, the smaller the resultant microchip can be. Using ASML's latest generation of machines, it's possible to print lines on chips that are only about 5 nm thick. To put this into perspective... that's like printing the contents of a 500-page novel onto a centimetre-long strand of human hair! Our products and services create the patterns that define integrated circuits and help to increase the value of chips and reduce their cost. To continue leading the race to produce smaller, faster, cheaper chips, ASML is looking for people who always want to do better and never give up. People who love what they do � not because it�s easy, but because it�s hard. People who will help find the best idea, the best solution, the best way forward. The driving force behind ASML's technological breakthroughs is its forward-thinking engineers. ASML's more than 19,000 employees are some of the most creative thinkers in the world of physics, mathematics, chemistry, mechatronics, optics and informatics. And because ASML invests over �1.0 billion annually into Research & Development, these experts have all the resources at their disposal to push progress to the extreme. It's the only way ASML can maintain its edge � worldwide.